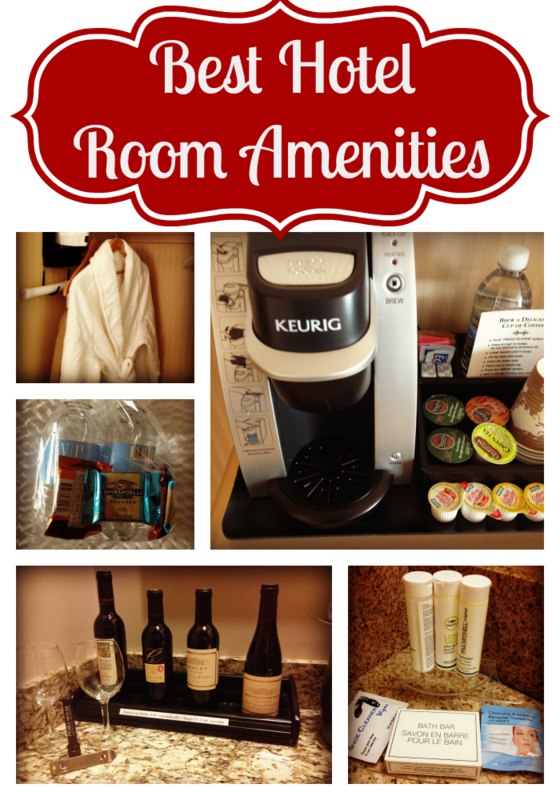 Travel: Best hotel room amenities? Anyone who has stayed in a hotel more than once has that one favorite hotel room amenity that makes them happy when they see it. Sometimes it’s an unexpected item or brand in the bathroom that makes you squeal with delight…ok, maybe just for a few seconds. For me, it’s a Keurig brewer. In fact, when I’m researching hotels and they state that the brewers are in their rooms, I bring my own coffee. I’ve seen robes, bottles of water, and yes, even wine. The wine wasn’t free, but it was in the room, which was very convenient. One hotel room had a makeup remover and show cleaner in the bathroom. Definitely unexpected, but appreciated. I would like to see little bottles Lysol. Yes, I know. Hotel rooms are supposed to be clean, but let’s face it. They’re not. At this point, hairdryers, irons, and extra pillows/blankets are to be expected. WiFi should also be all in hotel rooms. It should also be free or at least already included in the price. How hotels get away with charging extra for it is beyond me. Oddly enough, it’s difficult to find shower caps. It seems that you have to request those from housekeeping most of the time. I do know that you can usually request toothbrushes, razors, and even sanitary products from housekeeping. Hyatt Hotels have a list of what you can request for free, or even borrow. Oh, let’s not forget…bedside plugs to charge your smart phone or tablet. Seriously, why don’t more hotels have this amenity? It seems so simple, yet so hard to find. So, what’s one of the best hotel room amenities you’ve experienced? This entry was posted in Travel and tagged hotels on April 15, 2014 by Amy Ruiz Fritz. Visit Wine, Travel, Food - WTF's profile on Pinterest.